CD review: Thank Me Later | What would Van Damme do? It only seems like Drake has been around forever, but if you go back just a couple of years, only die-hard viewers of the Canadian TV show “Degrassi” would have been able to pick him out of a lineup. But in the whirlwind world of entertainment, your fortunes can change overnight, and now Drake is the hottest rapper alive. But why? The buzz began with his out-of-nowhere mixtapes, “Comeback Season” and “So Far Gone,” which posited Drake both as a sensitive lover-man capable of crooning to the ladies, and a hard-as-nails MC with the chops to deliver some impressive lyrical work. Nearly a year ago, I wrote about Drake’s popularity and the fact that he had no real physical currency to show for it – mixtapes are an ephemeral element of the music world and there were no “official” singles or videos to present to the audience. Since then, Drake became ubiquitous thanks to his signing with Lil Wayne’s Young Money label. There was “So Far Gone,” revamped and released as an EP; there was Drake popping up (propping up?) the Young Money crew album; there was Drake appearing on seemingly every single remix possible. Yet there was still no album, at least not until the recent release of “Thank Me Later,” a CD that many in the industry looked at as a game changer. Is it worth the hype? No. Is it a good first record? Yes. You see, in the time since Drake came into the public conscious (and became a potential star in the making), a whole host of rapper/singer types swooped in to fill the void and capitalize on Drake’s style while he noodled away at his CD. Do you think B.o.B’s album would have sounded like it did if it wasn’t for Drake? No way. But some savvy record label honcho figured he needed a “Drake type” and turned a pretty solid rapper into a substandard singer to great commercial success. And thus the potential power of Drake’s release is already muted because we’ve seen and heard this for the past two years. When I first listened to “So Far Gone,” I immediately had to listen again because it was so different and jarring. 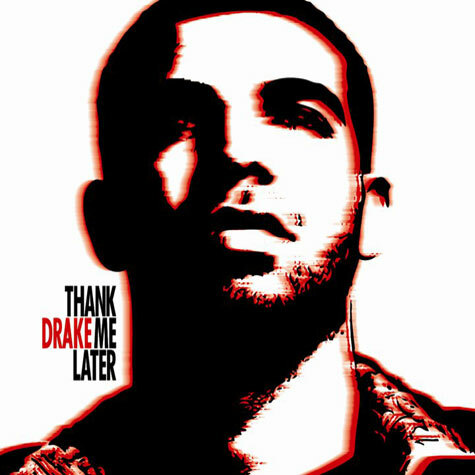 My first time through “Thank Me Later,” I wasn’t feeling it and had to put it away for a week. I will say the album has grown on me in the interim, yet I don’t feel Drake is the future of rap. He’s got a niche and he does it well. I think he’s done it better in the past, and I hope he develops it more in the future. As for the record itself, it falls into Gloomy Gus territory, a strange place for a person who should be thrilled with finally making it. I know the “tortured artist” and “cautionary fame tales” are standard operating procedure in the arc of record releases, but jeez, it’d be nice if he could have saved it for the second album. “Fireworks” kicks off the album in the somber fashion that weaves its way through the majority of the songs – soft piano, light synths, sparse beats, angst-filled lyrics – and it does a remarkable job of wasting Alicia Keys on a pedestrian hook. I wondered if Drake knew how to really put together an album, but he does a good job of sequencing, starting the record with solo songs and blending “The Resistance” into his hit “Over,” one of the few up-tempo bangers on the CD. I have some issues with “Over;” I think the chorus is awful, but the swelling strings at the beginning are right in my sonic wheelhouse. Another highlight is “Shut It Down,” a collaboration with R&B hitmaker The-Dream that perfectly encapsulates all of Drake’s strengths both as a lyricist and a singer – the kind of moody, yet entertaining rumination on live and love that seems to be his forte. I’ve gone on and on to say that while I think Drake can inhabit a unique position in the rap world – the crossover artist who doesn’t lose any street cred – his style could get grating and monotonous if he isn’t willing to develop his craft and stop bitching about being famous. ~ by Elliott on June 29, 2010.